Hello there, good afternoon. Sorry I am so late with my post today. Time has got away with me this morning! 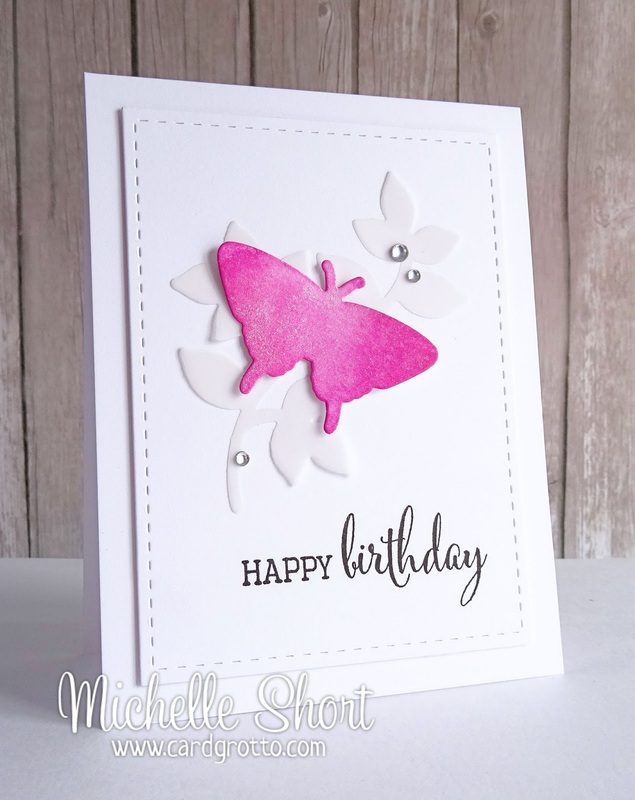 When I made THIS card I also made some pink butterflies using TH Picked Raspberry ink too. I love this colour, so beautiful. I think it looks nice against all the white in this card too. Yesterday me and my craft room were featured over on the Cut Out + Keep blog. If you fancy hearing a little about my room and see some more photographs then please pop over and have a look! Anyway, thanks so much for visiting me today. Wishing you a very happy Easter weekend! 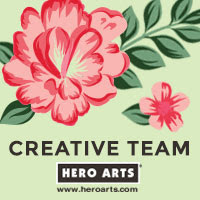 I will be back over the weekend with at least one Easter card (I am a little late in getting them finished this year!). 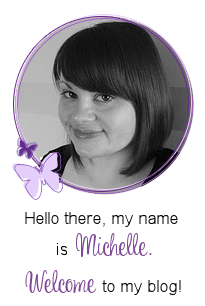 A stunning CAS card Michelle. 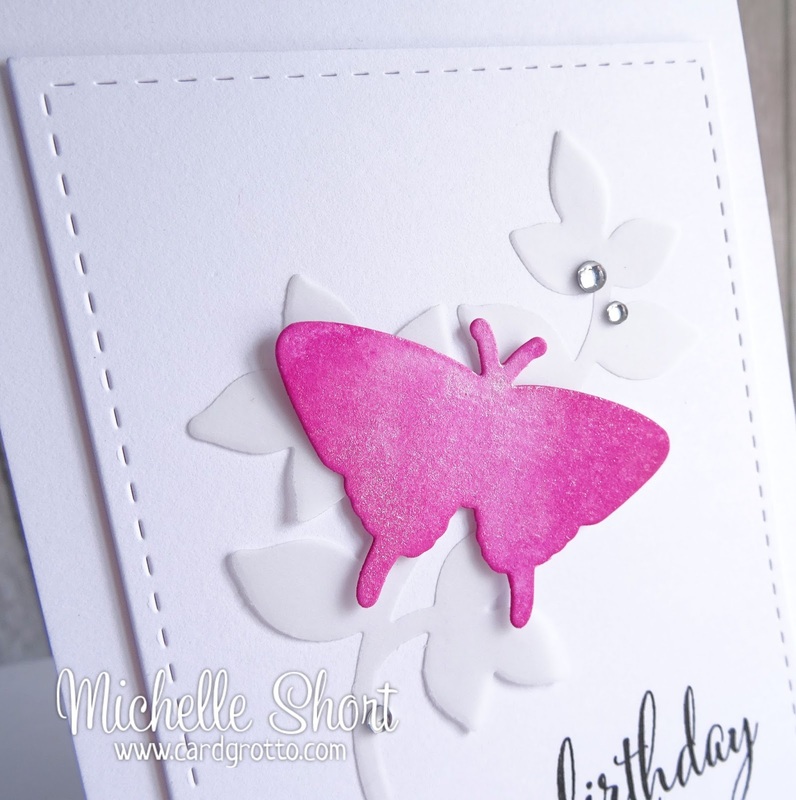 The pink butterfly looks so beautiful on the white background. Wow this is truly stunning sweetie! !